v Manabi-ya Ep. 12 Learning and Living abroad in Japan | jibtv.com | Japan International Broadcasting Inc. This edition will get back in touch with some of the students we featured in previous editions of the program. Some have come with individual goals in mind; others with the idea of being able to help with the home country. 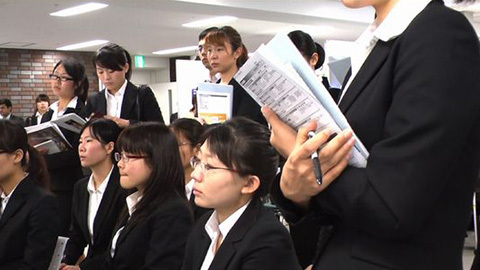 We also take a closer look at Japanese ways of job-hunting by reporting on a job fair for international students.